World Immunization Week: Theme: #VaccinesWork — BIMC is doing its part the week of April 24-30, which aims to promote the use of vaccines to protect people of all ages against disease saving millions of lives every year — simply referred to as the world’s most successful and cost-effective health intervention. As one example, Indonesia has confirmed the number of measles cases declined by 65 percent from 11,389 in 2017 to 3,995 in 2018. Still, the CDC issued a Level 1 Travel Alert for 2019, saying travelers to Indonesia should make sure they are vaccinated against measles with the MMR vaccine. Despite the success of immunization over the years, there are still nearly 20 million unvaccinated and under-vaccinated children in the world today. In 2017, the number of children immunized – 116.2 million – was the highest ever reported. Since 2010, 113 countries have introduced new vaccines, and more than 20 million additional children have been vaccinated. But despite gains, all of the targets for disease elimination—including measles, rubella, and maternal and neonatal tetanus—are behind schedule, and over the last two years the world has seen multiple outbreaks of measles, diphtheria and various other vaccine-preventable diseases. Most of the children missing out are those living in the poorest, marginalized and conflict-affected communities. In order for everyone, everywhere to survive and thrive, countries must intensify efforts to ensure all people receive the lifesaving benefits of vaccines. Additionally, those countries that have achieved or made progress towards the goals such as Indonesia must work to sustain the progress they have made. Demonstrate the value of vaccines for the health of children, communities and the world Highlight the need to build on immunization progress while addressing gaps, including through increased investment. Show how routine immunization is the foundation for strong, resilient health systems and universal health coverage. Expanding access to immunization is vital for achieving the Sustainable Development Goals, poverty reduction and universal health coverage. Routine immunization provides a point of contact for health care at the beginning of life and offers every child the chance at a healthy life from the earliest beginnings and into old age. 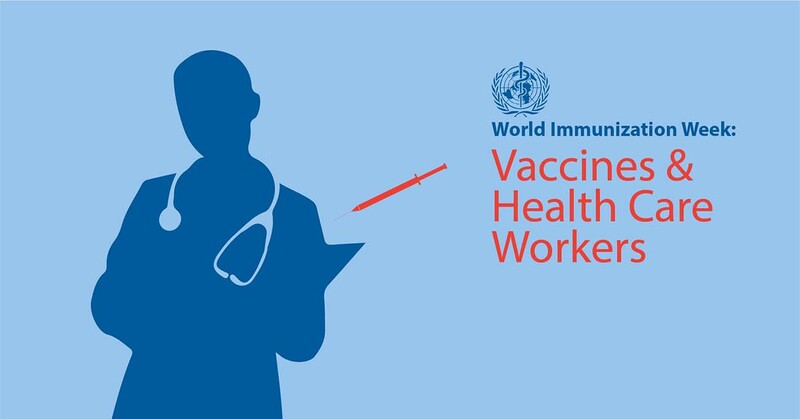 Immunization is also a fundamental strategy in achieving other health priorities, from controlling viral hepatitis, to curbing antimicrobial resistance, and providing a platform for adolescent health and improving antenatal and newborn care.